It's called the Streisand effect, people. You published something that contains unexplained text parallels. 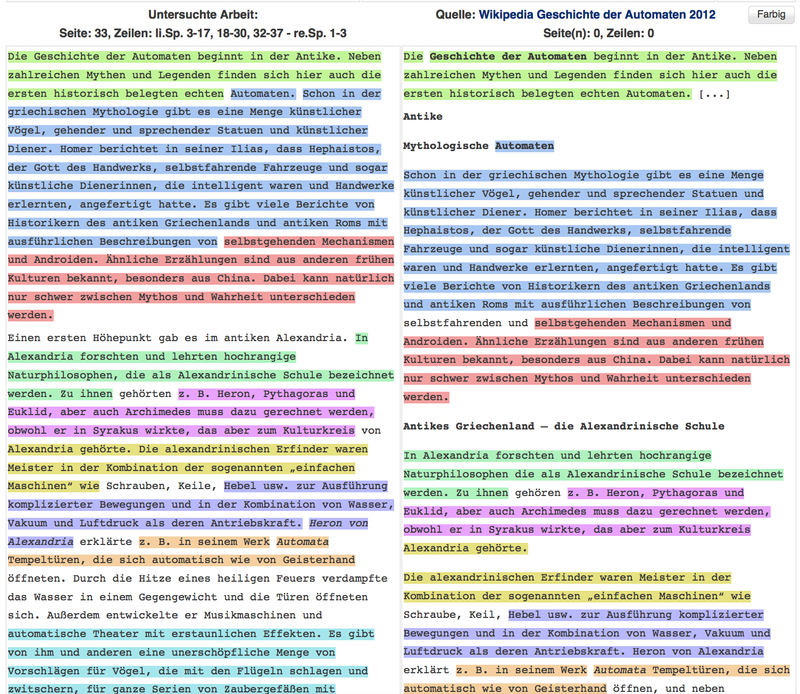 These text parallels have been documented publicly, in a review. Explain them in public. That's what we do in academia, we discuss and exchange arguments publicly. Die auf der Bochumer Tagung versammelten Hochschulgermanisten halten es für ihre Pflicht, sich von dieser an der Universität Bonn getroffenen Entscheidung nachdrücklich zu distanzieren. [. . . ] Wenn eine Rezension in einer unserer Fachzeitschriften gegen eine wissenschaftliche Veröffentlichung den Vorwurf des Plagiats erhebt, hat es als selbstverständlich zu gelten, daß diejenigen, die ein solcher Vorwurf trifft, in angemessener Weise dazu Stellung nehmen. Versuchen die Betroffenen, die Angelegenheit durch bloßes Stillschweigen zu erledigen, und bleibt dieses Verhalten auch noch ungerügt, so muß man fragen, was unser Rezensionswesen eigentlich noch wert sei und bis zu welchem Grade die Regeln wissenschaftlichen Anstands denn außer acht gesetzt werden dürfen. [. . . ] Angesichts einer solchen Häufung von Entlehnungen, wie sie im Falle Nix festzustellen ist, kann weder die Erklärung befriedigen, daß vorsätzliche Täuschung nicht eindeutig nachweisbar und daher bloße Fahrlässigkeit zu unterstellen sei, noch die Behauptung, daß die plagiierten Stellen für die Beurteilung der wissenschaftlichen Leistung irrelevant blieben. Auch wenn sie zuträfen, höben beide Feststellungen den Tatbestand nicht auf, daß die oben genannte wesentliche Voraussetzung für die Verleihung des Doktorgrades irrigerweise als gegeben angenommen wurde. Es wäre schlechthin verderblich, wenn in solchen Fällen die gesetzlichen Vorschriften in einer Weise ausgelegt würden, welche eben diejenigen Grundlagen wissenschaftlicher Forschung und Publikation bedroht, deren Sicherung die gesetzlichen Vorschriften zu dienen haben. 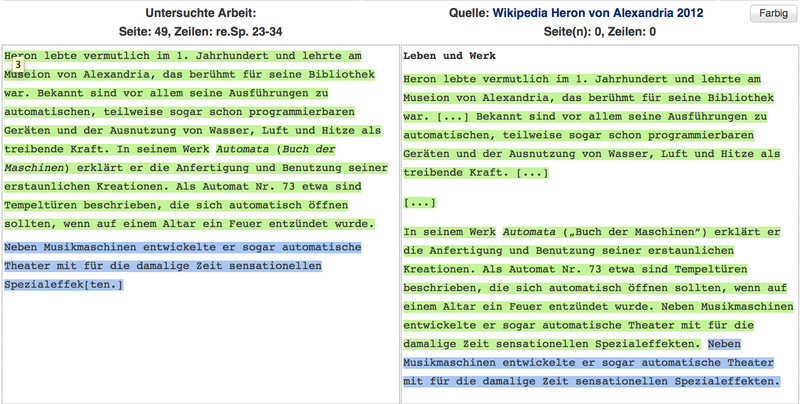 A representative of the publisher has agreed to participate in a discussion about the use of the Wikipedia by researchers on October 3, 2014 at the WikiCon in Cologne. The next German publication with heavy borrowing from the Wikipedia was published by Springer Vieweg, Geschichte der Rechenautomaten, the history of computing in three volumes by a retired German computer science professor. Anyone who has given a lecture on the history of computing recognizes that many of the pictures are taken from the Wikipedia and other Internet pages, and many are not in the public domain. But it turns out that a good bit of the text is also from the Wikipedia. I don't normally link to the FAZ, but they published an excellent article on the problem by Eleonor Benítez. She quotes the author as stating that these volumes are not scientific writing, but reference books. He defines a reference book as 80% data, while scientific writing contains didactical editing and thus contains more intellectual property. Data, he continues, are facts and not copyrightable. And anyway, there are only so many ways to state something in German. Springer has withdrawn the books from their home page, but the books are still easily obtainable through other booksellers. I asked the executive editor if they were going to put out a press release about the issue, he said no. It seems it is hoped that this will quietly die down. 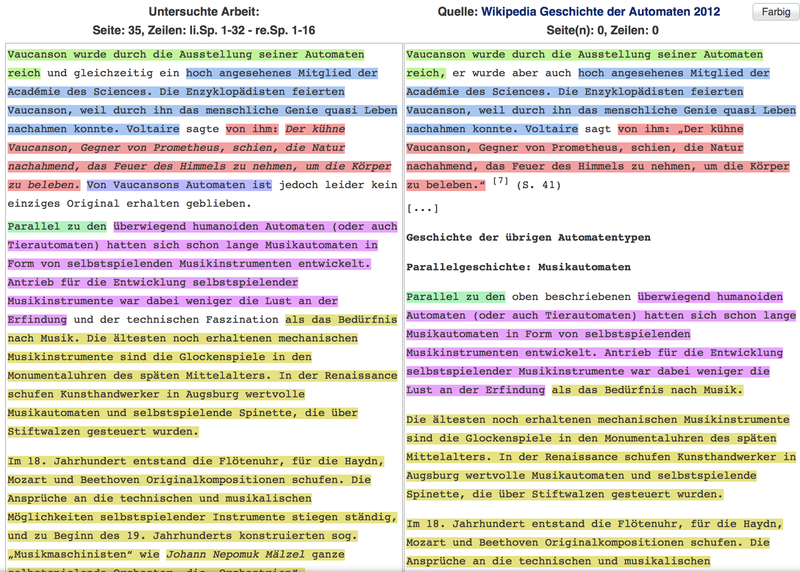 And now a third German book using Wikipedia without attribution has been identified. The Wagenbach Verlag recently published Aldo Manuzio. Vom Drucken und Verbreiten schöner Bücher, a scathing review in artmagazine pointing out the copying was published in July 2014. Why do academic authors use the Wikipedia in their work without respecting the CC-BY-SA license? Okay, they probably find it embarrassing to have Wikipedia references all over the place. But isn't it worse to be found out after the book is in print? Why don't the publishers have editors read the books critically before they are published? The prices are high enough, and that is supposed to be the justification for the price, that the publishers are somehow adding value to the process by ensuring a high-quality product. If the publishers are trying to save money by cutting out the editors, then perhaps we don't need publishers any more. Do the universities where the book authors work get rewarded financially by their ministries of education for these "publications"? Some are still listed on the publication lists of the authors, even though they have been withdrawn. This is also often the case for retracted papers, they remain on the lists of publications for which one assumes the university and perhaps the researcher obtained a reward, even after retraction. 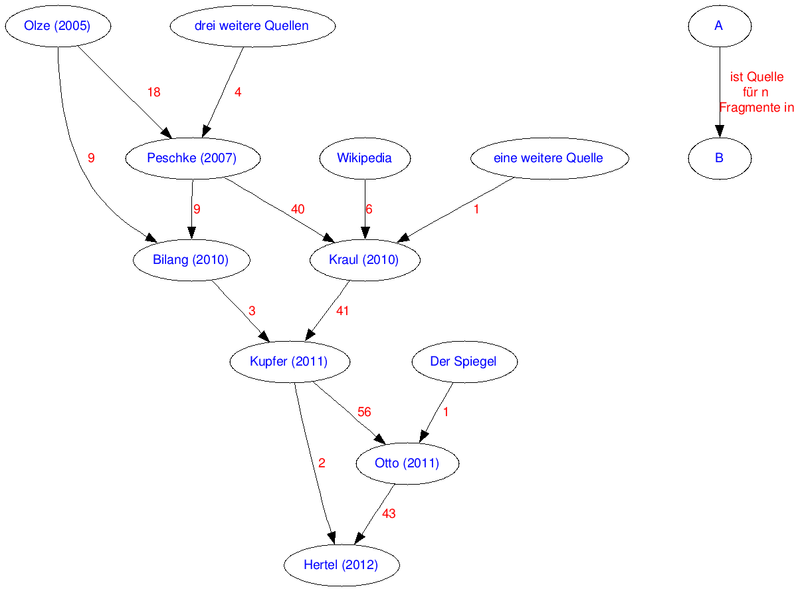 I've asked the German Wikimedia e.V. if they cannot sue in the name of the collective authors for the Wikipedia articles. However, only the authors themselves would be able to sue over copyright misuse. I still think, though, that since the license is not being respected by the publishers (especially if pictures are being used), that a suit or two should be in order. 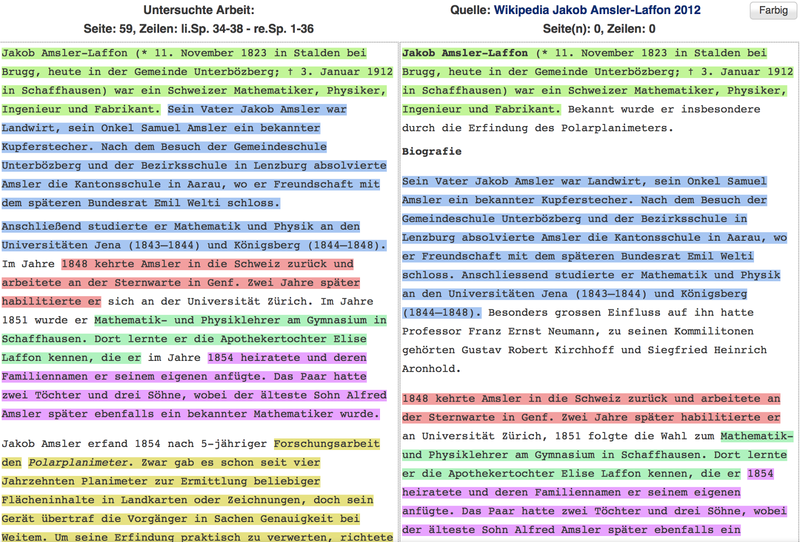 Above all: if researchers are publishing Wikipedia material under their own names, how can I explain to my students that it is not acceptable for them to do the same? Retraction Watch noted in March 2014 that a 2012 paper by a Swedish scholar from Linnaeus University in Växjö had been retracted for plagiarism. A recent commentator on the article noted that the university actually investigated the case and determined that he was guilty of plagiarism. They put out a press release stating that plagiarism is a serious matter and that the scholar has been suspended from the university, pending a decision on the part of the personnel department about the extent of sanctions to be meted out. The right-wing online press in Sweden, which is gaining much momentum in the current election year, posted the name of the researcher in question, making sure to comment that he was a "leftist" researcher investigating problems of racism, as if that somehow had something to do with the cases (I'm not linking to the publication in question). It is quite disconcerting to have an academic discussion about good scientific conduct and plagiarism dragged into a political fight. This has also happened in Germany, where the media only seem to report on cases of plagiarism if they involve politicians. Many universities in Germany and Austria drag their feet when investigating allegations of plagiarism, and answer, as one did today, stating that on the grounds of official secrecy and data privacy no information about administrative processes will be published. It is important that we speak about academic plagiarism cases in the open, but we must be focused on the plagiarism itself and not on other details about the person in question. The Moscow Times have an interesting article about Dissernet, the Russian group of researchers documenting plagiarism in dissertations of politicians and academics in Russia. According to Le Figaro and Liberation, the vice-president of the University of Grenoble in France, Dominique Rigaux, has been accused of plagiarism and has left her post. The documentation of the plagiarism was done by Michelle Bergadaà, a French-speaking plagiarism researcher from the Swiss University of Geneva. Both the University of Münster and the Charité have stated that they have begun investigations. But since there are still numerous cases (not only in medicine) from both institutions that are still open one or two years later, this may take some time to clear up.